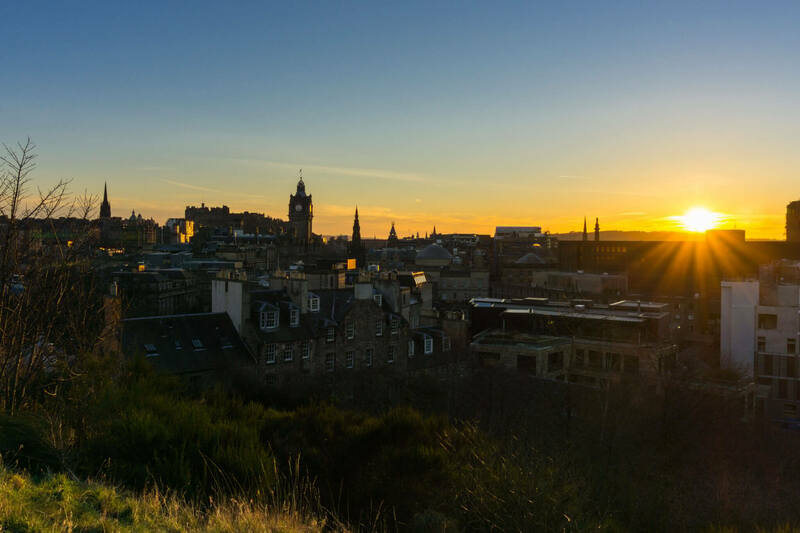 Edinburgh has become synonymous with technology in recent months, and boasts an impressive entrepreneurial pedigree, having been voted entrepreneurial city of the year in 2016. With tech accelerators, such as Seed Haus, picking Edinburgh as their next hot location, the city is set to produce the UK’s next generation of tech ‘unicorns’. According to the most recent Tech Nation report, tech businesses in Edinburgh employ over 25,000 people and produced an average GVA of £513million between 2013 and 2015. Why, in this case, have businesses started choosing Edinburgh over London as their home? Many companies are beginning to turn against London’s tech ecosystem, which while more evolved, has become increasingly difficult to break into. It is still early days for Edinburgh, but the Scottish capital already boasts a great track record, being the birthplace to two tech unicorns – Skyscanner and FanDuel. Before, companies felt that London was the only stomping ground which would ensure security and investment, but the recent success of Float, Reactec and SumDog are living proof that this myth has been well and truly debunked. CodeBase, the UK’s largest start-up incubator based in Edinburgh, has done some incredible work growing the profile of these leading lights, and the CSO Steven Drost has revealed they are receiving fresh interest from London-based VCs looking to back the next big thing. This month, Edinburgh played host to the Start-up Summit, the city’s largest entrepreneurial conference, which witnessed business leaders from all over the world flock to the city to discuss their entrepreneurial journeys and offer advice to other aspiring business owners. Events such as this are popping up across the city at an impressive rate, and are a key reason for the increase in entrepreneurial appetite and start-up success stories. The biggest success story to come out of Edinburgh has been Skyscanner, which was sold for £1.4billion in 2016. The flight comparison site was the vision of Gareth Williams and co-founders Bon Grimes and Barry Smith, who created the multi-billion-pound company from an Excel spreadsheet. 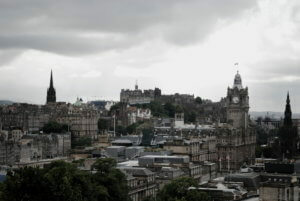 When asked why he chose Edinburgh, Gareth cited the world-class informatics computer science and the supportive start-up community, which he felt was lacking in Silicon Valley or London. Founded in 1993, this EdTech start-up wants to help 15 million children across the UK and the US in the next five years. Through its engaging evidence-based online games, it wants to encourage students to practice their maths, reading and writing skills – for free. Andrew’s mission is to close the educational attainment gap by helping all children reach their full potential by capturing their imagination. His aim is for Sumdog – which saw a 50% increase in turnover in 2016 – to be a world leader in online learning across multiple subjects, and even has an immersive 3D learning environment on the horizon. Founded in 2016 by two care-at-home experts who felt the process of securing care was totally inefficient, Care Sourcer is a HealthTech platform connecting those seeking care with those providing it. The pair identified an urgent and growing challenge of matching care seekers to the right available care quickly and transparently – it’s proved to be a winner and the business announced a Seed round of £500,000 earlier this year. Care seekers simply need to complete an online form explaining their needs, which is then shared with local care providers who contact the care seeker directly with their availability – through it, care can be arranged in a matter of hours, rather than days. Impressively, the two founders have now exited their previous companies and work full time on Care Sourcer. This award-winning cybersecurity start-up has attracted over £6m in investment since Jamie founded the business in 2013, and for good reason. ZoneFox provides security systems to combat insider threats to businesses across a range of sectors – from financial to pharma to gaming. Earlier this year it launched a new machine-based learning solution, ZoneFox Augmented Intelligence, and its customers include healthcare firm Craneware, Zenith Bank and Rockstar Games. Jamie is looking to triple its headcount before the year is out, to continue to help businesses protect their reputation, sales revenue, and competitive advantage by providing next-generation data monitoring, security analytics and endpoint security. Ryan shot to fame overnight after he boldly rejected £75,000 from the Dragons on Dragon’s Den in 2015, and has since grown his craft beer site into one of Edinburgh’s biggest outlets for independent drinks and food. Ryan is a prime example of a savvy entrepreneur, using his Dragon’s Den exposure to help launch a Crowdcube campaign which saw the company raise £300,000 in three weeks.